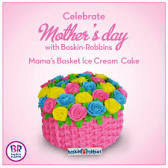 Do visit Baskin-Robbins shops at SM East Ortigas and Ayala 30th in Pasig, Central Square, Bonifacio High Street, Uptown Place Mall, and SM Aura in Bonifacio Global City; Greenbelt 5 and Glorietta 5 in Makati; Fairview Terraces, Trinoma Mall, SM North (Main Building and The Block) in Quezon City; SM Southmall in Las Pinas; Solenad in Sta Rosa, Laguna; SM Dasmariñas in Cavite; and SM Pampanga. Log on to www.baskinrobbins.ph for more information. You may also check out their social media accounts: facebook.com/baskinrobbinsph, Twitter, and Instagram @baskinrobbinsph for updates.